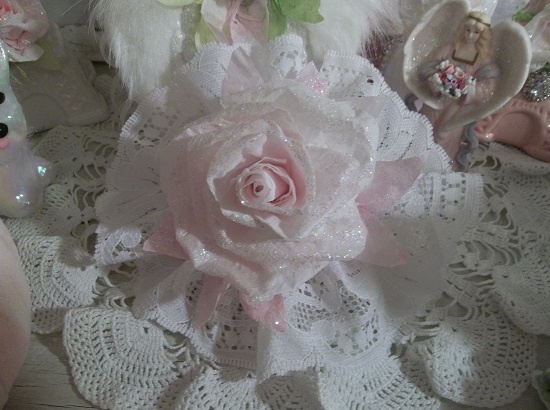 Size: About 6 inches across lace. Glistens like new fallen snow! 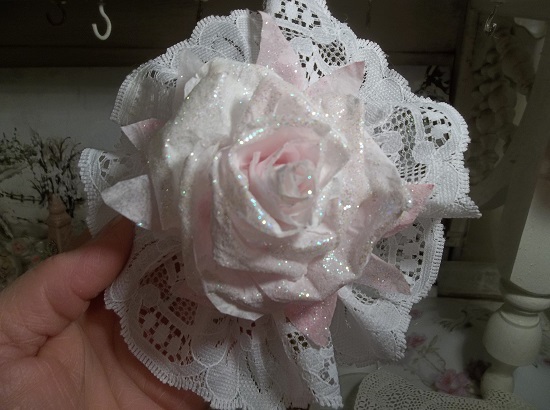 Handmade, Glittered, paper rose on a lace gathered circle glued on a clothes pin to clip on your Christmas Tree, Lace Curtains, or anywhere you need a touch of elegance! 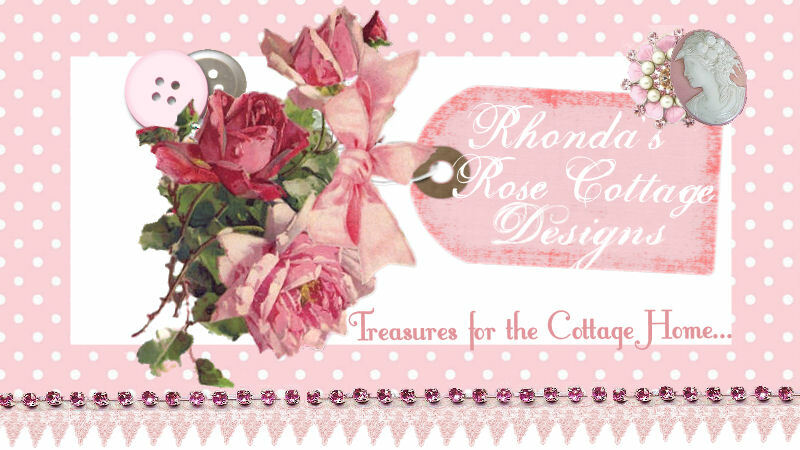 Handmade With Love By Rhonda. 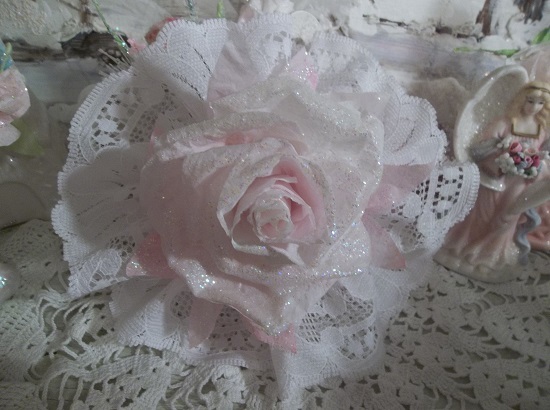 Please note that you are purchasing the Lace And Rose only and all other items in the photos are props and are not included.